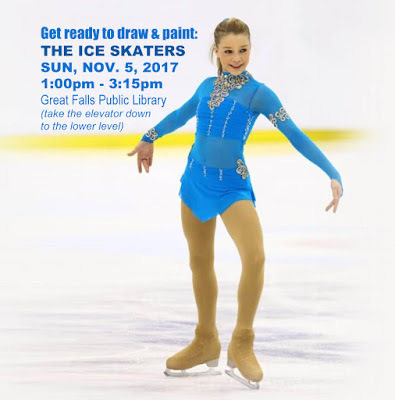 Get ready to draw and paint The Figure Ice Skaters! take the elevator down 1 level to "B". NOTE: There will be 3 Figure Ice Skaters on Sunday! All young ladies! 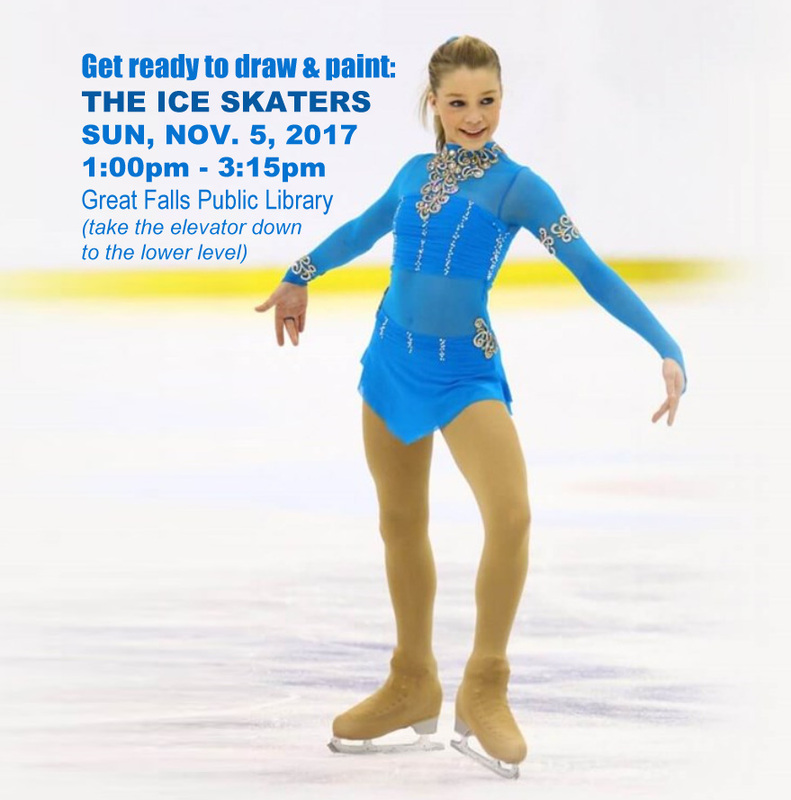 Come draw & paint: Leann, Kendyl, and Rayna this Sunday! Figure ice skating is a sport in which individuals, duos, or groups perform on figure skates on ice. It was included in the summer Olympics in 1908 and has been part of the Winter Olympics from 1924 to present day. Depending on the discipline, figure skating moves may include spins, jumps, moves in the field, lifts, throw jumps, death spirals and more. Figure ice skating is also associated with performing arts or show business. Major competitions often conclude with exhibition galas, where the top skaters perform in non-competitive shows. Many skaters, both during and after their competitive careers, also skate in ice shows. There is no charge for attending this Sunday Painter workshop. Donations are appreciated and help us continue to put on these events. Visit them online at: https://www.facebook.com/SkateCoachAvery/ and http://www.leaguelineup.com/. Interested in learning how to figure skate?